Abbegale is a Licensed Massage Therapist, Reiki Master Teacher, and Certified Herbalist. 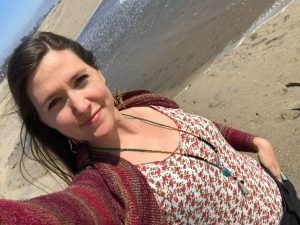 She originally received her massage training in her hometown of Kansas City, but has been enjoying the many opportunities to share her work in Santa Cruz. Abbegale specializes in creating a massage experience that is deeply therapeutic as well as deeply relaxing. She believes that it is important to offer ourselves space to reset, release, and just be present with our breath. She works to bring integration of body, mind, and spirit into each of her sessions. Abbegale understands that healing is not linear, life moves in cycles, and we are always pruning ourselves in order to make room for new growth. She is happy to be here to support to you in whatever stage or phase of the journey you are in.